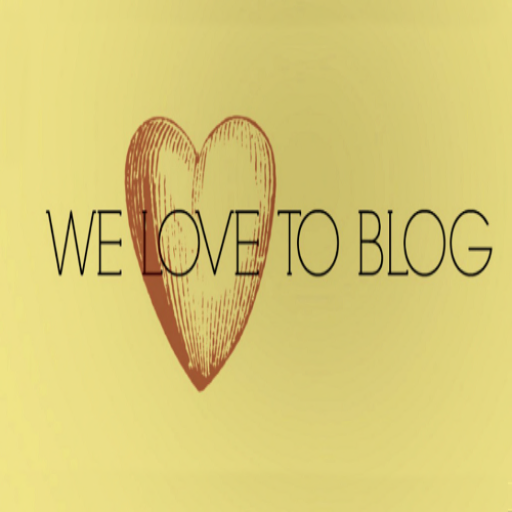 Shae's Designs has some fun items available at the Garage Fair that I want so share with you. The Camry Pajama Pants are loose and comfortable and perfect to wear when you feel like being ultra casual or for hanging out at home. There are six different versions (Three solids and three patterened) to choose from at the Garage Fair. They are made for Classic Avatar bodies as well as Belleza Freya/Isis/Venus, Maitreya, Slink Hourglass/Physique, Tonic Curvy/Fine and TMP. The Heather Ruffle Crop Top has one long sleeve on one side and sleeveless on the other. A lovely fluted ruffle goes along the neckline of the top. There are six colors available at the Garage Fair that can be mixed and matched with the Camry Pajama Pants. The top is made for Belleza Freya/Isis/Venus, Maitreya, and Slink Hourglass/Physique. There are also some awesome jeans available at the Garage Fair from Shae's Design. The Kristell BF Jeans are a cuffed straight legged jeans with an awesome black belt. They are comfortably worn looking made of distressed denim with a few small tears at the knees and pockets. These jeans are availabe in six colors at the Garage Fair and are made for Belleza Freya/Isis/Venus, Maitreya and Slink Hourglass/Physique. The Flirt Alert Lipstick is available from Indulge Temptation at the May round of the Makeover Room. There are 12 applier HUDs available for Catwa Mesh heads each with a choice of five rich glossy lip colors. The awesome nail pattern is an exclusive at the Dark Style Fair from Dark Passions Koffin Nails. Lunar Light Nails have the phases of the moon running down the center on a sold colored background. There are applier HUDs for Maitreya, Omega and Slink each with nine different background colors from which to choose and each sells for 170L. The fatpack which includes all the applier HUDs is 290L.. The Dotty Eyeshadow is available at the Twe12ve event from D. Designs. Black eyeliner surrounds the upper and lower eye and a bright swatch of color is on the lid. The finishing touch is a series of small black dots right above the lid starting from the middle and running to the outer corner of the eye. There is applier HUDs for both Catwa and Omega that has 16 different eyelid colors from which to choose. The Fiorella outfit from Pin Up is an exclusive at Hashtag event. This is a lovely Spring outfit that includes a dress, heels and a flower head wreath. The form fitting dress is made of denim with applique flowers on the corset bodice, waistline and hemline. It is made for Belleza Freya/Isis/Venus, Ebody, Maitreya, Slink Hourglass/Physique, Tonic Curvy/Fine and TMP. The Fiorella Heels have a peep toe and straps that criss-cross over the top of the foot and connect to the heel with a buckle. 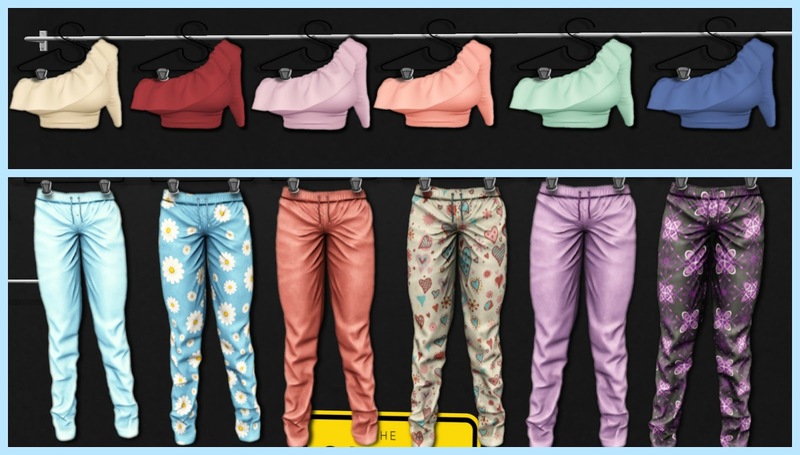 These heels are made for Belleza, Maitreya, and Slink High. 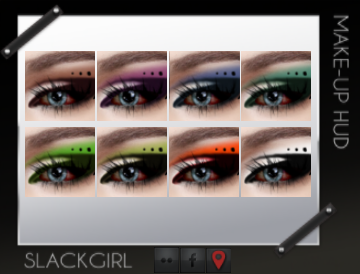 The Nausicaa eyeshadow is a Darkside Fashion Fair exclusive from Slack Girl. There is white on the eyelid and a bright color above the eyelid with three black dots. The look is finished off with three more black dots at the inner corner of the eye and thick black liner around the top and bottom of the eye. There is an applier HUD for Akeruka, Catwa and Omega that offers eight color choices. There are also eight tattoo versions of each color for standard avatars. The Evil Bunny visited Blaxium and left a nice egg. Hidden inside this egg is the Queen B outfit. This outfit consists of a short sleeved t-shirt and a pair of ripped demin shorts. The Queen B Top is a short sleeved knotted shirt that has alternating green and peach horizontal zig zag lines on a white background. There is also an image of a white bunny under which are the words "Queen B" The Queen B shorts are very short ripped white denim shorts which is put on via an Omega applier. The Queen B Top is made for standard mesh sizes. The Eggsential Spring nails are an exclusive from Vengeful Threads at Applique. The Omega applier HUD for these nails has eight different pastel colored patterns from which to choose. The Ombre Dress is a halter mini dress with a tye dye pattern that starts out blue at the top and fades into green at the bottom. It is made for Belleza Freya/Isis/Venus, Maitreya, and Slink Hourglass/Physique. The cute shoes I am wearing are the Printemps Wedges. They have a solid brown wedge heel and a floral insole. There are six brown straps that run over the top of the toes and connect to straps that run up the foot and wrap around the heel. The Printemps Wedges are made for Belleza, Maitreya and Slink Mid Feet. The Spring Guitar Cami is a while satin camisole with an image of a guitar with flowers and leaves around it. The straps are attached to the top with small metal rings. The Olive Buttonfly Shorts are cute olive green denim shorts with five silver metal buttons on the fly, two pockets in front and two pockets in back Both the camisole and shorts are made for Belleza Freya/Isis/Venus, Maitreya, and Slink Hourglass/Physique. The Floral Bra Top also goes well with the Olive Buttonfly Shorts. This is a standard bra top that has a beautiful pink and green floral pattern on a white background. Like all the items hidden in the Easter Eggs the Floral Bra Top is made for Belleza Freya/Isis/Venus, Maitreya, and Slink Hourglass/Physique. One of the Vengeful Threads exclusives for Applique are the May Flower Nails. The design on the nail is a spring flower with leaves and grass. The Omega applier HUD has five flower colors from which to choose.